You can also set up a synchronization schedule, either based on a time or on one or more events, as described in the next two sections. In the Sync Center, click View Sync Partnerships. Click Schedule. The Offline Files Sync Schedule dialog box appears. If you have already created a sync schedule, click Create a New Sync Schedule; otherwise, skip to step 4. Leave the check box activated beside each folder you want to include in the synchronization, and click Next. Click At a Scheduled Time. Use the Start On controls to specify the date and time when you want synchronization to begin. Use the Repeat Every controls to specify the numbers of minutes, hours, days, weeks, or months you want to occur between synchronizations. Start Sync Only If: The Computer Is Awake— Leave this check box activated to ensure that the synchronization occurs only if the computer isn’t in Standby or Hibernate mode. Start Sync Only If: The Computer Has Been Idle for at Least X Minutes/Hours— Activate this check box to tell Vista to synchronize only when you’re not using your computer. Use the spin box to set the amount of idle time that must occur before the sync begins. Start Sync Only If: The Computer Is Running on External Power— Activate this check box to avoid running the synchronization when your portable computer is running on batteries. Stop Sync If: The Computer Wakes Up from Being Idle— Activate this check box to have Vista abandon the sync if you start using your computer. Stop Sync If: The Computer Is No Longer Running on External Power— Activate this check box to have Vista stop the sync if you switch your portable computer to battery power. Type a name for the schedule and then click Save Schedule. Click On an Event or Action. I Log On to My Computer— Activate this check box to start the sync when you log on. My Computer Is Idle for X Minutes/Hours— Activate this check box to start the sync when your computer has been idle for the number of minutes or hours that you specify. I Lock Windows— Activate this check box to start the sync when you lock your computer.  You lock your computer either by selecting Start, Lock, or by pressing Windows Logo+L. I Unlock Windows— Activate this check box to start the sync when you unlock your computer. Click More Options to see the More Scheduling Options dialog box (described in the previous section). Click the Sync Conflicts Have Occurred message to open the Sync Center. Click View Sync Conflicts. The Sync Center displays a list of the conflicts. Select the conflict you want to work with. Click Resolve. 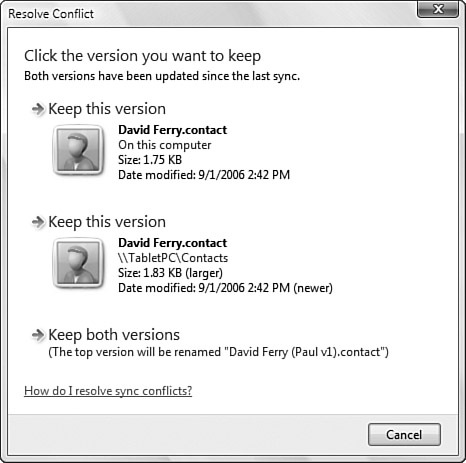 Vista displays a Resolve Conflict dialog box similar to the one shown in Figure 3. Figure 3. Use the Resolve Conflict dialog box to tell Vista how you want it to handle a file that has been changed both locally and offline. Click the version you want to keep, or click Keep Both Versions to have the offline version saved under a modified filename. Select Start, Control Panel, Network and Internet, Offline Files. Vista opens the Offline Files dialog box. Display the Disk Usage tab. As shown in Figure 4, this tab tells you the amount of disk space you’re currently using for offline files and for the offline files cache, and it also tells you the current limits for both types. Figure 4. The Disk Usage tab shows you the disk space used by your offline files as well as the disk space limits. Click Change Limits and then enter your UAC credentials. The Offline Files Disk Usage Limits dialog box appears. Use the Maximum Amount of Space All Offline Files Can Use slider to set the limit for offline files. Use the Maximum Amount of Space Temporary Offline Files Can Use slider to set the limit for the offline files cache. Click OK to return to the Offline Files dialog box.